Dr. Heer’s work goes beyond any technique or healing modality there is, and is a totally different approach than anything you have ever heard of before. A great introduction to begin talking with your body. Note: You will receive an email with digital download instructions immediately upon purchase. Dr Dain Heer’s unique work has coined him the title “The Body Whisperer,” as it is the only thing anyone could come up with that even comes close to describing what he can change with bodies. Dr. Heer’s work goes beyond any technique or healing modality there is, and is a totally different approach than anything you have ever heard of before. 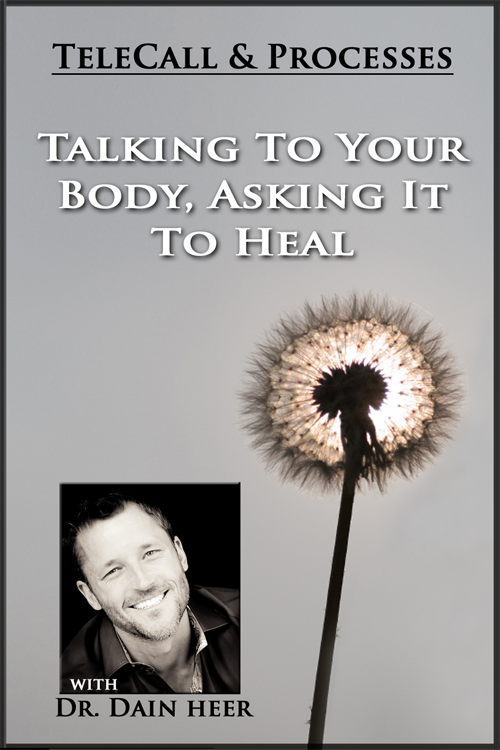 In this Introductory Tutorial Dr. Dain Heer gives you the basic tools and processes to start talking to yours and other’s body in a way you’ve never thought possible. Could you imagine your body being your best friend, able to change quickly and with total ease --- no matter what your age, body condition or health issue? What if your body was a compass or guide to the secrets, mysteries and magic of life? What if yours and other’s bodies actually talked to you constantly and you just haven’t had the tools to hear them until now? “I began working with bodies and qualified as a Doctor of Chiropractic. Since Access came into my life, everything has changed, including the way I work with bodies. Bodies are so much more than we have decided they are. They are truly amazing and wonderful friends.